From Mr. Rainer Lehr in Germany I recently have got a scan showing a not earlier seen (by me) postmark – PUSTIŅAS with the date 18.6.29. The postmark is registered in the von Hofmann Handbook and also by Jakimovs but Mr Jonitis and me have had it among not existing (or possible / or provisional) postmarks. 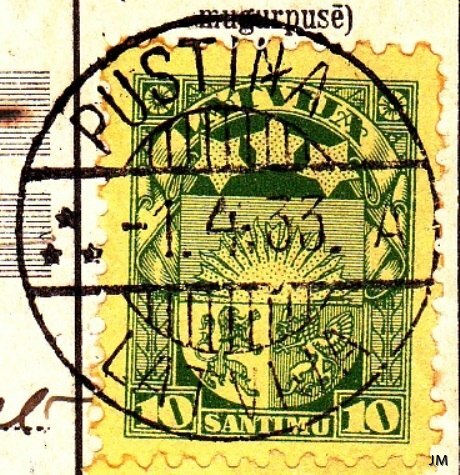 However, when you look at the postmark PUSTIŅA it is clearly visible that the letter "S" has been removed. The postal station at Pustiņas parish (12 km north of Indra) was opened 01.09.1928. 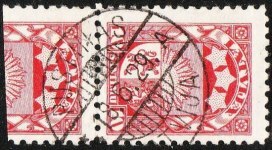 The earliest seen postmark PUSTIŅA is seen with the date 18.12.30. It was because of the short time from the opening of the postal station until the first PUSTIŅA postmark appears that we decided to classify the PUSTIŅAS postmark as doubtful. But we were wrong. Here it is! Pustiņa postal station was at 25.06.1940 renamed as ROBEŽNIEKI and it is under that name you can find the Pustiņas / Pustiņa postmarks in the list. It is even today called Robežnieki. 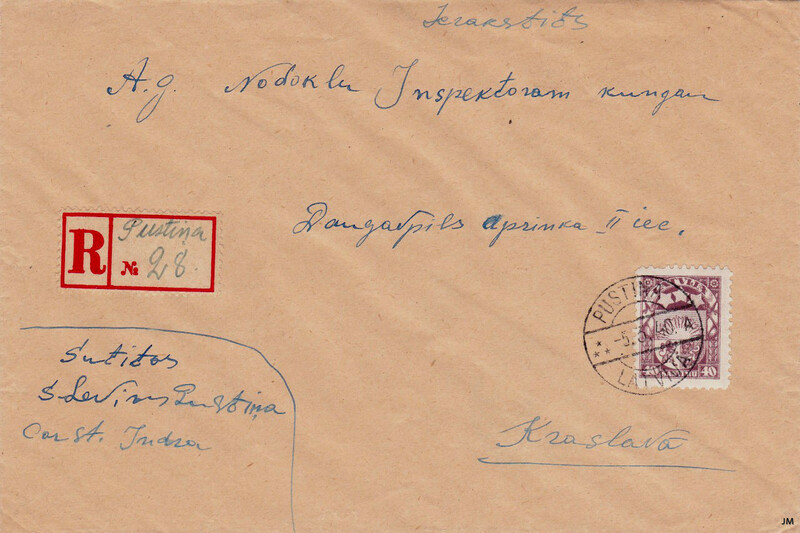 Before 25.06.1940 the ROBEŽNIEKI postmark was used at the postal auxiliary station in Robežnieki, Dvorčāni, Piedruja parish, situated in the south-east corner of Latvia. Robežnieki was renamed Robžstūris, also at 25.06.1940. 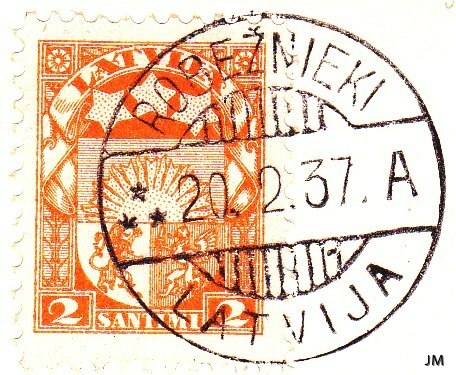 So, the ROBEŽNIEKI postmark was moved some 20 km to the north. A registered letter sent to Krāslava, cancelled with the type 10 (engraved, without segment bars) postmark PUSTIŅA A -5.3.40. Another change in my list is that LIPKORI A, type 10 (without segment bars) has been removed from the list as we now have seen the type 6 postmark (with bars) with the date -1.2.44. It is very unlikely that this postmark should have been engraved as late as during the German occupation.